When environmentalists in the region got word several years ago that a natural gas producer was building a 515-mile pipeline to send fracked gas from Alabama to Florida, they quickly organized. In lawsuits and protests, they pointed out that much of the Sabal Trail Pipeline would run along the Floridan Aquifer, the state’s main source of drinking water. Because of the fragile geology in and around Florida, where sinkholes are unusually common, activists said that the aquifer could be damaged from pipeline operations or a pipeline accident. While the Sabal Trail Pipeline representatives have countered that the pipeline can support itself for at least 150 feet, advocates and the news media documented several sinkholes that occurred during the construction process. But federal regulators have typically taken a favorable view to the many oil and gas companies hoping to build more pipelines in recent years, and the Sabal Trail project would be no exception. Only the Environmental Protection Agency had voiced concerns that the pipeline would destroy or affect an estimated 1,200 acres of land across the route, but the agency changed course at the end of 2015 after meeting with company representatives and looking “more closely” at the project. “We have this 500-mile improvised explosive device, under our rivers, next to our schools and next to people's houses and nobody is handling pipeline safety,” he tells ConsumerAffairs. Florida's landscape is characterized by karst terrain, or land made of porous limestone, caverns, and water dissolving into the bedrock, all of which are a recipe for sinkholes. Man-made infrastructure can increase the chance of a sinkhole forming, and so can intense rain. Among the reasons Quarterman cites for his distrust of any official statement coming from the company is a chemical leak that occurred at a pipeline transfer station several months ago. The problem has not yet been fixed. The Sabal Trail Pipeline had barely been in operation on July 16, 2017 when residents in Marion County, Florida complained to the local fire department that they smelled sulfur. Firefighters went to a local creek and noticed a strong, gassy odor themselves. 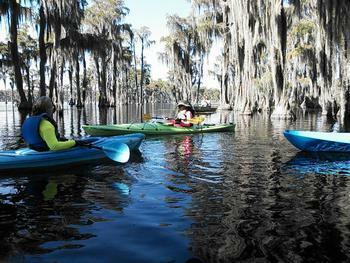 They realized that a transfer station for the Sabal Trail Pipeline was nearby. Firefighters called a company phone number listed at the station. “This was a new system and they are still learning,” the Sabal Trail Pipeline dispatcher told firefighters, according to the department’s incident report. A pipeline representative, identified in the incident report only as Dave, arrived on the scene not long after. He looked into the control panels and found that tanks were leaking mercaptan, a chemical injected into natural gas to help people smell leaks. This tank did not have natural gas inside of it, however. He told the firefighters that the tanks only contained mercaptan. “We were reassured that there is no natural gas in the tanks,” the fire department's report says. Enbridge Energy told concerned residents afterward that they were only smelling mercaptan, not any actual natural gas. Florida may officially be regarded as the “the sunshine state” but Florida’s utilities have repeatedly fought against measures to add more solar energy to the grid. Even as scientists warn that storms like Hurricane Irma are likely as extreme as they are because of the burning of fossil fuels, utilities in Florida and elsewhere have thrown their lobbying weight and campaign contributions into measures designed to tamper a budding public interest in solar energy. Florida Power & Light and Duke Energy, the state's largest utilities, spent a reported $29 million to promote an amendment that would have allowed them to add extra charges to the bills of solar-using customers. The utilities had argued that solar customers were getting a free handout on cloudy or rainy days at the expense of their traditional electricity counterparts. (The heavy spending didn’t work; Florida voters defeated that amendment in November). In an apparent bid to seem "green," Florida Power & Light promises that solar energy will provide a total of four percent of the state's energy needs by 2023. "In 2023, FPL projects solar will reach 4 percent, which is a higher percentage than nearly every state in the nation today," the utility boasts in a press release. 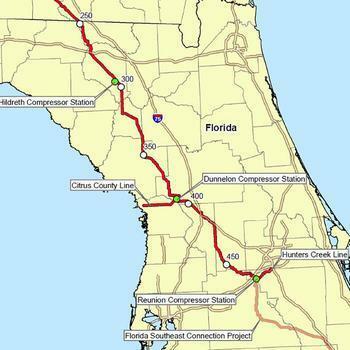 Florida Power & Light and Duke Energy instead embrace what they describe as “clean burning natural gas.” The two utilities are the primary customers and recipients of the natural gas flowing through the Sabal Trail Pipeline. While environmental organizations suing to stop the project have not made much traction in the legal system yet with their safety concerns, they have gained a recent, surprise victory by focusing on the role that natural gas plays in global warming. In response to a lawsuit filed by the Sierra Club, a U.S. District Court of Appeals ruled in late August that the Federal Energy Regulatory Commission did not adequately address the amount of greenhouse gas pollution that would result from a network of new natural gas pipelines, including Sabal Trail. The Sierra Club, in interviews and news releases, has indicated that they will continue to fight the project. “Just because (the pipeline) is on, we know it’s not over until we pull that thing out of the ground,” one organizer said.